The default title of the page is "Untitled Page". It should be changed to something that reflects the contents of the page. 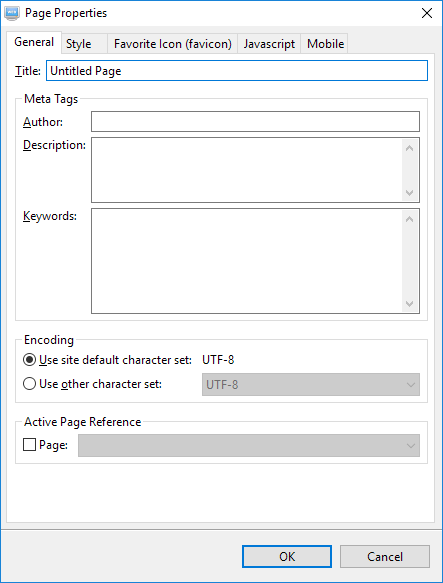 Select "Edit" > "Page" > "Page Properties" from the main menu or right click on the page and select "Page Properties" from the context menu. Replace the title "Untitled Page" with the one that reflects the contents of this page. Enter the description of this page to Description field. Enter the keywords of this page to the Keywords field.